North Pole and south poles are the most extreme cold places on earth. Earth spins on an imaginary axis which is joined by North Pole and South Pole. The Arctic is located at the top of the axis and the Antarctica is located at the bottom of the axis. Arctic Ocean is main part of North Pole. The water under the arctic heats the entire are and makes it warmer. The air and temperature is generally warmer at North Pole when compared to South Pole. Arctic is more habitable for living beings. The low temperatures at South Pole makes life impossible for plants and animals. Arctic has more animals that Antarctica. 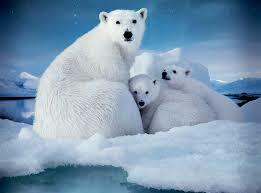 Polar bears are mostly found in Arctic of North Pole. Most part of Arctic is covered up with Snow ice and ocean but a very little part of land is also available which makes the life possible for Flora and Fauna. It includes the most northern parts of Canada, Alaska, Russia, Scandinavia and Greenland. 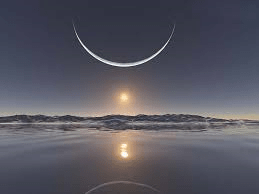 North Pole has sunrise for every 6 months. Sun goes down around September 21 and will raise again around March 21. 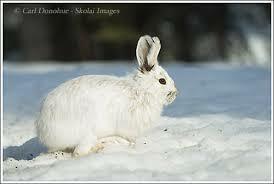 Due to such low temperatures there will be very less habitat. These places are dense snow, ice bergs. There will be snow storms and blizzards. These places are mostly used for scientific research. People have myth that no live exists at such cold temperatures, but life do exists at these places. These days people live in both Arctic and in Antarctica they live in research stations. 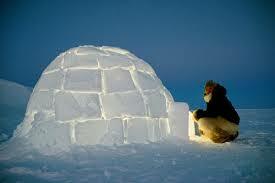 The people living in Arctic are called Inuit, best called as “Eskimos”. Eskimos hunt walruses and depend on their meat for their living. Reindeer is used for transportation. Not only human beings but few animals are also present in these areas. Beluga whales, which are often referred as White Whales survive by finding holes in the ice, come to surface and breathe. This is being am amazing life survival by Beluga whales because almost 96% is covered by Ice. Narwhals are considered Unicorns of the ocean are mostly found in Russian areas of Arctic Ocean. Sea otter which lives its entire life in water is also found in Arctic Ocean. 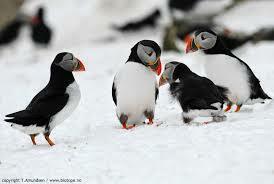 Snowy Owl, Arctic Fox, Snow shoe usually called as Rabbit, Muskox and Puffins are some Fauna found in Arctic Ocean. Thanks for your valuable comment and appreciation. we will look forward for that.